Welcome to Otter Creek Inn! The Otter Creek Inn beckons with a warm welcome. Conveniently located near restaurants, shops and all of the many activities happening in the Chippewa Valley area of Eau Claire, Chippewa Falls, and Altoona, Wisconsin. This spacious 6,500 square-foot three-story English Tudor is filled with a mix of modern casual elegance, antiques and collectibles. Indulge in the charm and elegance of the past coupled with the best of today's amenities and comfort. Come join us and see what we are talking about. Start your morning at the Otter Creek Inn with one of our delicious hot breakfast entrees. 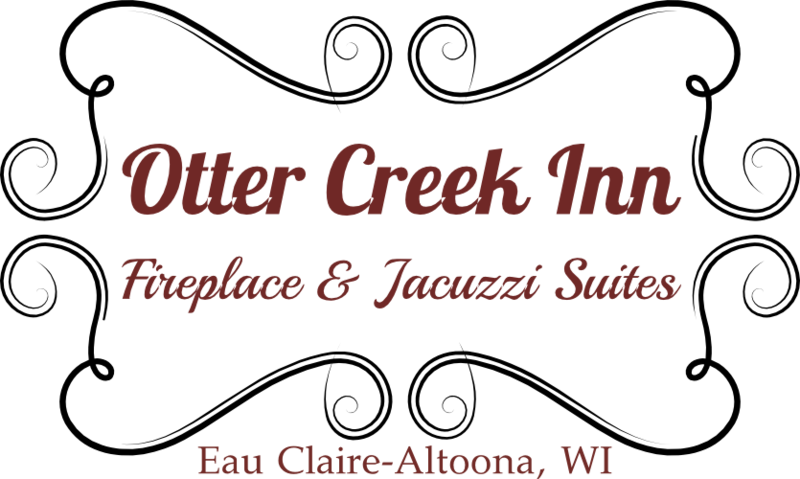 At the Otter Creek Inn you can expect to have an exceptional and one of a kind experience. Relax in your own personal Jacuzzi on a romantic getaway. We are the only Bed & Breakfast in the entire county, and we want to make your stay special. The house is gorgeous, the decor is stunning, and the food was deliciouse. You've outshined every other B&B we've visited over the years. Keep doing what you're doing, it's perfect! One of the most outstanding bed and breakfasts we've ever stayed inn. Spotless rooms, friendly hosts, great food. We will absolutely be back. The house is almost 100 years old and has been beautifully renovated by the owners. It maintains it's ambiance while giving one modern comforts.